Join us for 1 hour of continuing education and a Q&A with the clerk’s office of Montgomery County followed by Happy Hour. Find out about the rise of social media in the title industry and the importance of digital and content marketing. Learn about the new automation tools and how your office can stay relevant in the digital age. The Maryland Title Insurance online Pre-Licensing Class satisfies the 30-hour pre-licensing education requirement to sit for the title insurance licensing exam. The class reviews the content outlined in the MIA Pre-Licensing Exam Content Outline. Our course is designed to help prepare you for the state-proctored 100-question licensing exam. Learn the fundamentals of the land title industry and practice your skills using over 400 practice test questions. Be prepared to pass your exam! Maryland Land Title Association offers current, relevant industry education from seasoned industry professionals. Members access online and take-home education for free! MLTA - education, advocacy, and networking - your professional association. Dip your toe in the water and join our mailing list. 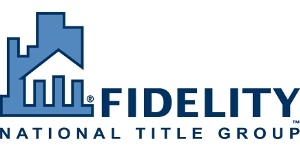 Our mission is to promote professionalism and communication throughout the real estate title industry. This mission includes promoting standards and regulations that increase the effectiveness of the industry through legislative initiatives and educational programs. MLTA offers education, advocacy, and networking opportunities for the Maryland Land Title industry and its professionals. Members benefit from free online and take-home continuing education, as well as discounts on pre-licensing education. Join friends and colleagues at our many live events, including the Fall Convention and Chapter Events. Immerse yourself in industry advocacy at our Lobby Day event each February, and stay in the loop through our newsletter, the MLTA Commitment. MLTA offers the most comprehensive land title industry education programs in Maryland. Take our approved title insurance pre-licensing class and get started in the industry. Need CE hours? Enjoy live classes or online education with MLTA. Remember - members have access to free online and take-home classes, sufficient to satisfy the 16-hour bi-annual requirement. Learn more about all MLTA has to offer, and take charge of your professional development with your professional association. MLTA members offer services including abstracting, banking, recording, E&O, escrow, legal services, real estate, settlement, TIPIC and TIP, and title insurance. Find a member on the MLTA website. DC CE Event - Registration is Open! This session is being hosted by The Maryland Land Title Association and the District of Columbia Land Title Association.